From carving designs through layers of colored slip on pottery to carving woodblocks for printmaking seemed a natural transition to Claudia. After 40+ years of making pots she searched for a simpler, cleaner, and more efficient art practice. A practice where the results of the carving were apparent in a matter of days and corrections or additions could be seen immediately as opposed to weeks with gas fired pottery. 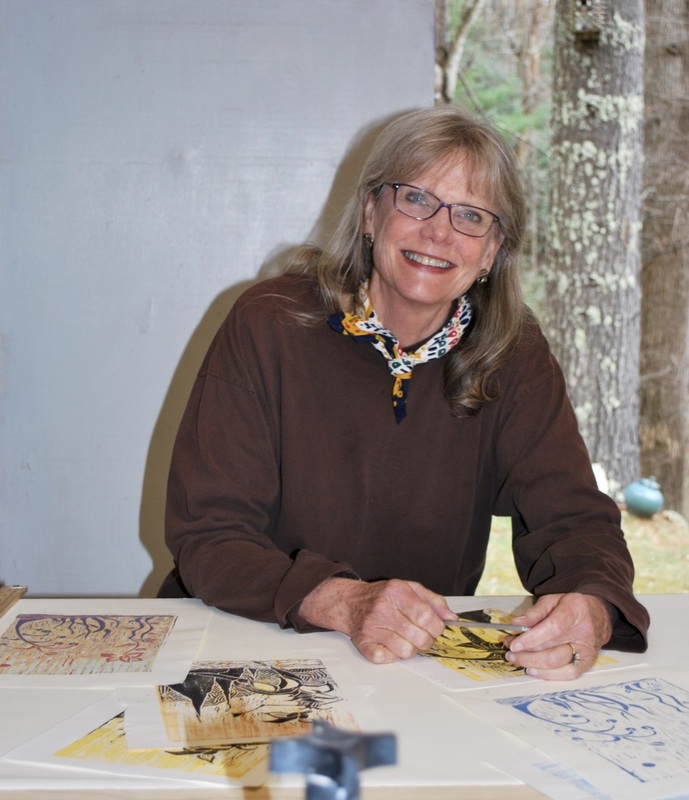 During the summer of 2018, Claudia participated in a Japanese woodblock printmaking workshop at Penland School of Craft taught by Japanese print master, Keiji Shinohara. Equipment for “mokuhanga,” a traditional Japanese form of woodblock printmaking, involves wood blocks, one for each color within the print, water based liquid pigment, soft brushes, suitable papers, a disk baren for applying pressure to the paper on the block, good sharp wood carving tools, a design, and elbow grease. All the tools and materials are easily transportable and non toxic. Claudia may return to pottery in the future, but for now look for more prints.